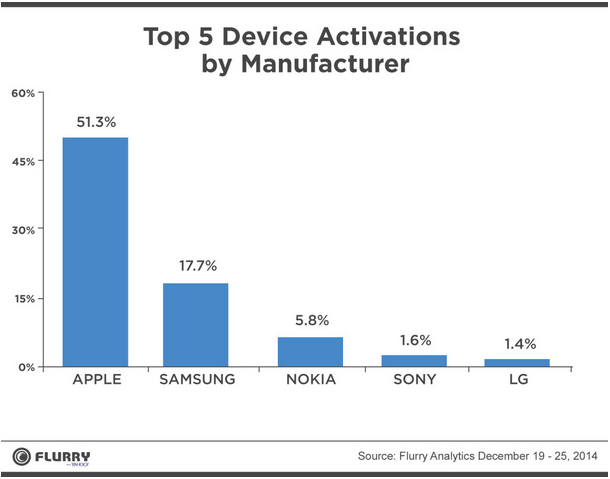 Apple accounted for 51% of the new devices activations worldwide Flurry recognized in the week leading up to and including ChristmasDay (December 19th – 25th). Samsung held the #2 position with 18% of new device activations, and Microsoft (Nokia) rounded out the top three with 5.8% share for mostly Lumia devices. 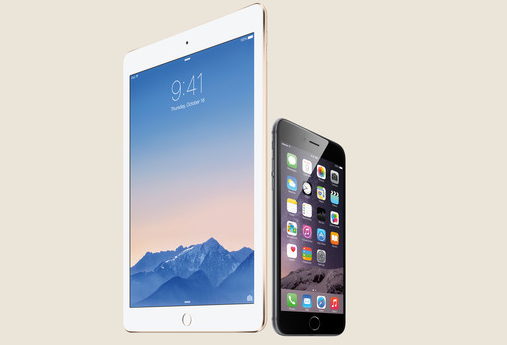 Flurry says the iPhone 6 was the top activated device, and its larger counterpart, the iPhone 6 Plus, was one of the top five. The company however doesn’t give exact figures, leaving us to guess the split between the two. Tablets overall accounted for 22 percent of device activations, but Flurry didn’t give any numbers for the iPad’s share. Increase in device activations, as you would have guessed, led to a huge increase in app installs. Flurry says they tracked 2.5x the number of app installs on Christmas Day. Games and messaging apps saw the highest jump in installs, confirming that the two app categories are the most used on mobile devices. This entry was posted in News and tagged christmas, iPad, iPhone by IosdroneD. Bookmark the permalink.